Looking at ourselves through another person’s eyes is a great way to find out who we really are. Mike Stimpson’s five was a fun and interesting piece a while ago, we decided to steal the idea from him and post our own. Shelly did hers just yesterday and that was a swell group of pretty items. I’m not going to shy away from this challenge and took a moment to think this through too. Here’s my fab 5 not in any particular order. The man with the hat. 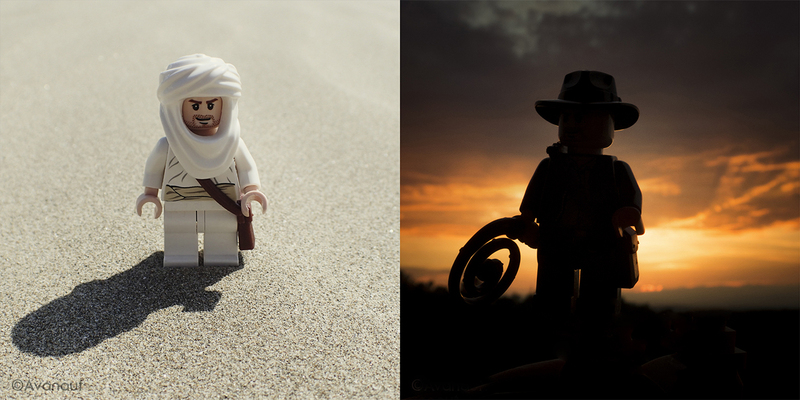 Indiana Jones is a nice figure to shoot from time to time, I like it a lot. But, as it happens, my favourite Indy is not necessarily any of the official Indys, my favourite is a custom one. Mark Holden, a.k.a. Smokebelch, once posted a very nice photograph of his Well of Souls Indy custom and I loved it. I bought the necessary bits from Bricklink and made my own. This indy should have had a set of it’s own in the Indiana Jones LEGO line. Imagine, the tent with Marion Ravenwood and René Belloq (maybe even Toht to boot), or a Well of Souls set with Sallah and the miniature of Tanis. Classic stuff! Perhaps there is still hope if the Indiana Jones franchise gets a reboot under Disney’s regime. I haven’t photographed this one much but I think it’s very cool. The Well of Souls Indiana Jones custom minifigure on the left. I think it’s pretty marvelous. I like to keep these two Indys with me on travels just in case. I usually don’t even shoot them but I know I’ll regret if I leave them at home. When thinking about my favourites, there is no way around the snowtrooper, probably the most common minifigure in my photostream. The snowtrooper has no spinning head, only arms and legs move, I like the challenge the limited range of movement brings to photographing it. There is also no expression on it’s face, the featureless helmet just has black eye slits with no pupils in sight. To me that is very amusing, there is something that reminds me of Buster Keaton’s comedic quality. White also looks great on white. 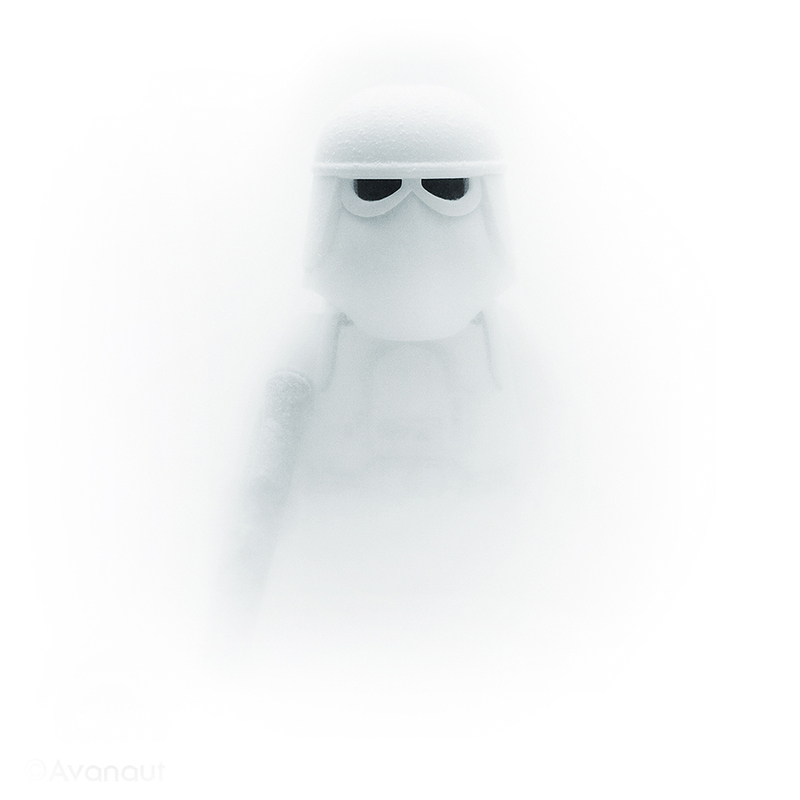 The snowtrooper in my very first snow photograph (that didn’t even work). This is a new contender in my selection of items to shoot. I have had the Bats with me on a trip abroad a couple of times now, first was the trip to Seattle earlier this year, and I’ve grown to like it a lot. Especially the one with the Keaton batsuit. I have not photographed it with a DSLR once, only with point-and-shooters that are easy to carry around in pockets, but still, it works for me. 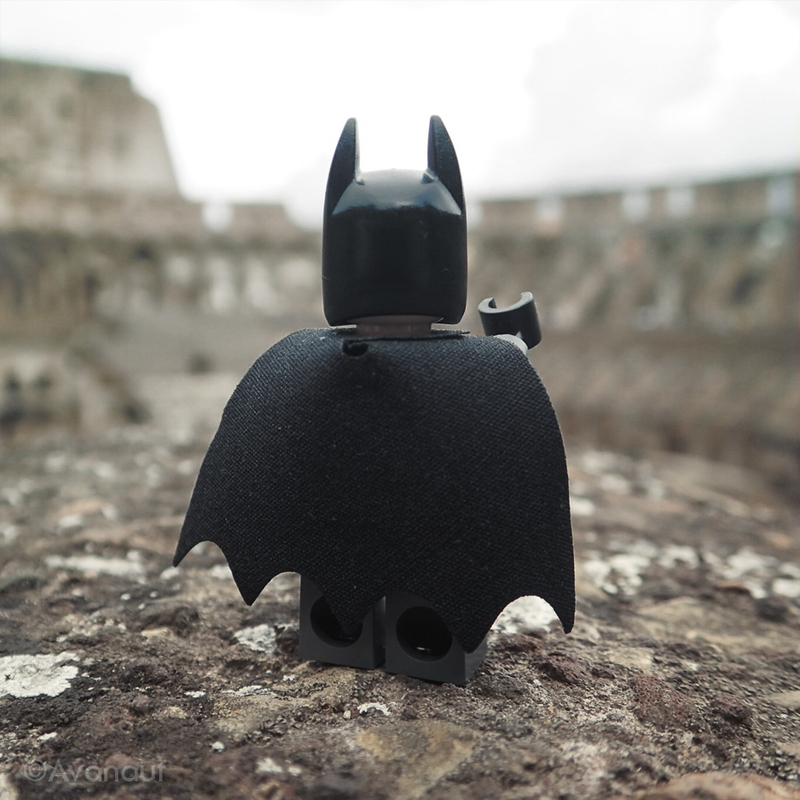 Batman checking the sights in Rome, Italy. I like minifigures with sculpted heads, Greedo, Leia as Boushh and Max Rebo for example, they are very interesting to photograph, but my favourite of this lot is the ewok. 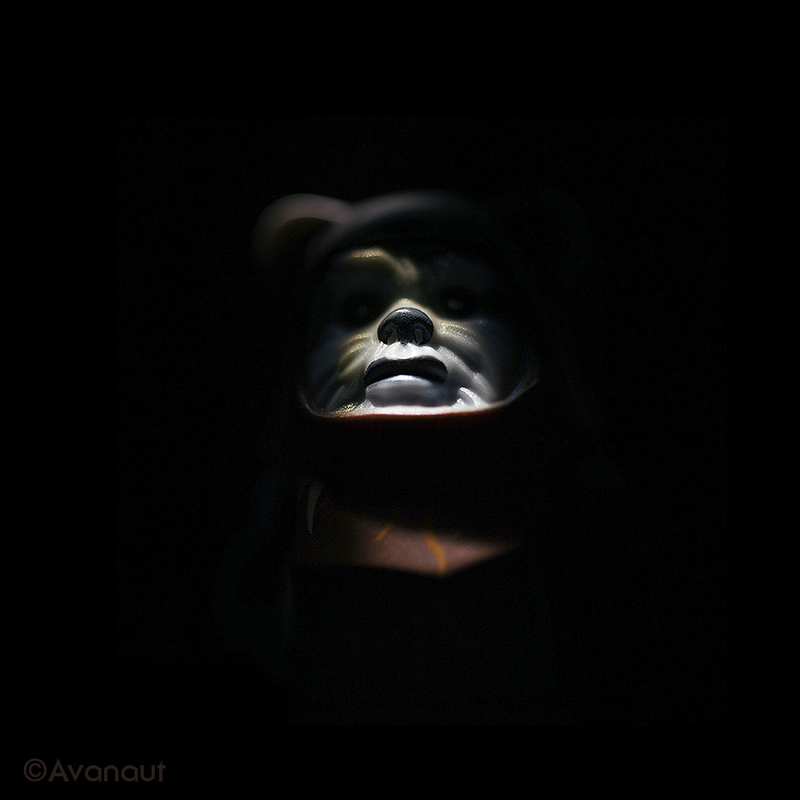 Even though the ewok minifigure has only four points of movement, the face sculpt makes all the difference, there is as much soul in the ewok minifigure as a plastic figure can possibly have. I originally struggled with photographing these but I really like them now. An ewok minifigure closeup. Took me a while to figure out how to shoot these guys. One more, huh? This was not that easy after all. I find I do not have favourites that much. 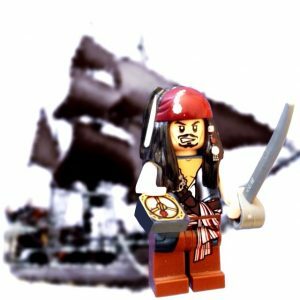 I like minifigures in general, I photograph them according to my ideas, not necessarily because of I like any of them in particular. So, as a final favourite I include one simply because it surprised me when I photographed it. 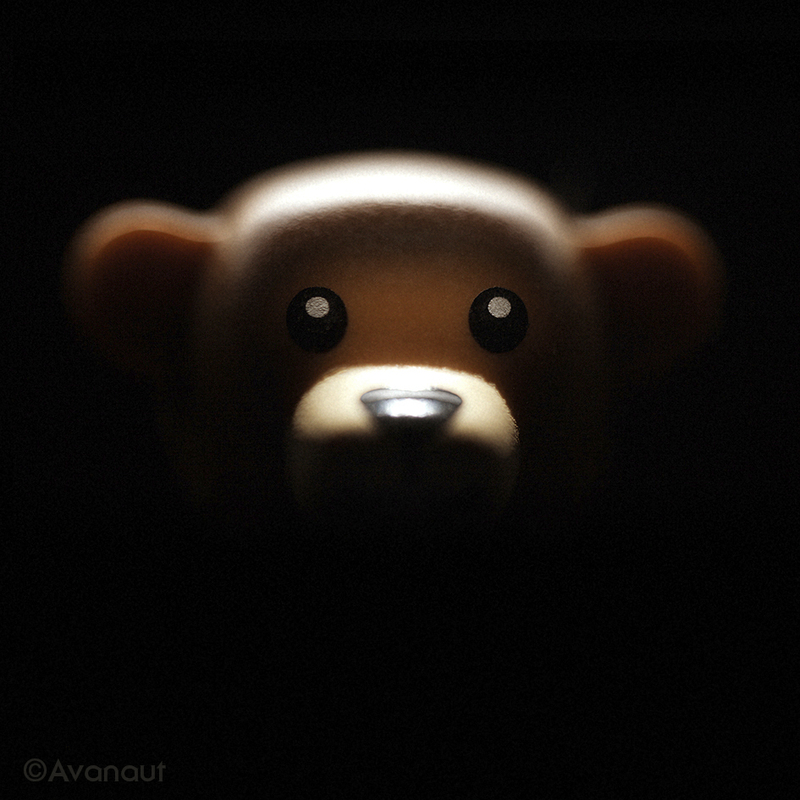 The little teddy bear from collectible series 6 sleepyhead minifigure. Granted, this is technically not a minifigure at all, but I don’t care, I’ll choose it as my #5. I have used the little teddy as an extra in some photographs (one with Indiana Jones) and I think it’s the cutest thing. I shot a portrait of it a while ago and I was very happy with how it turned out. Teddy bear LEGO minifigure accessory, is that cute or what?